Elliot Mincberg @ The Huffington Post: What Was Missing From The Debate: Even More Reasons The Supreme Court Is A Crucial Election Issue. Lindsey Ellefson @ Mediaite: Tomi Lahren Appearing on Trump’s Live Stream Last Night Has to Be Proof #TrumpTV Is a Go. Matthew Sheffield @ Salon: Trump TV is definitely coming: Be afraid! But what the hell will it look like? 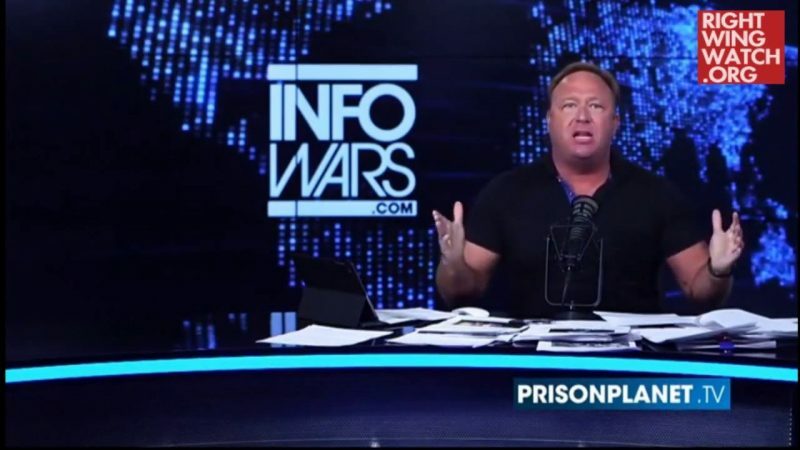 Timothy Johnson @ Media Matters: Trump Ally Alex Jones Suffers Debate Meltdown Over “Lying Whore” Hillary Clinton. Richard Bartholomew: Pastor Saeed Abedini on Hillary Clinton and the Jezebel Spirit. Warren Throckmorton: Brief Note: Wallbuilders Still Refers to Dr. David Barton. Josh Israel @ Think Progress: Trump used his foundation to fund guerrilla filmmaker James O’Keefe.